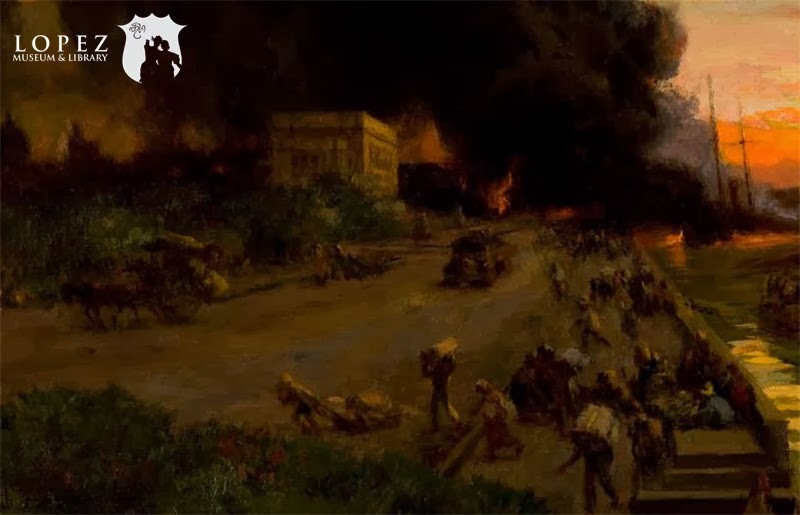 Today is the 69th Anniversary of the Battle of Manila (1945). 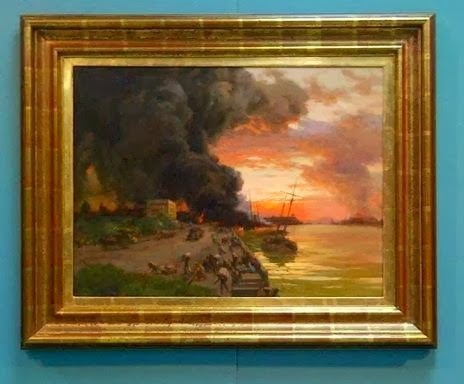 Here Fernando C. Amorsolo depicted the tragedy and horror of the people fleeing from ‘The Burning of the Intendencia’ (1942) three years before. The Intendencia or Spanish Civil Administration building located in Intramuros, was also the Aduana or treasury house. It was used as mint during the American Period. Oil on canvas, 43.7 x 59 cm. Previous Previous post: Ea Torrado’s Sisa @ Lopez Museum’s ‘Complicated’ exhibit.